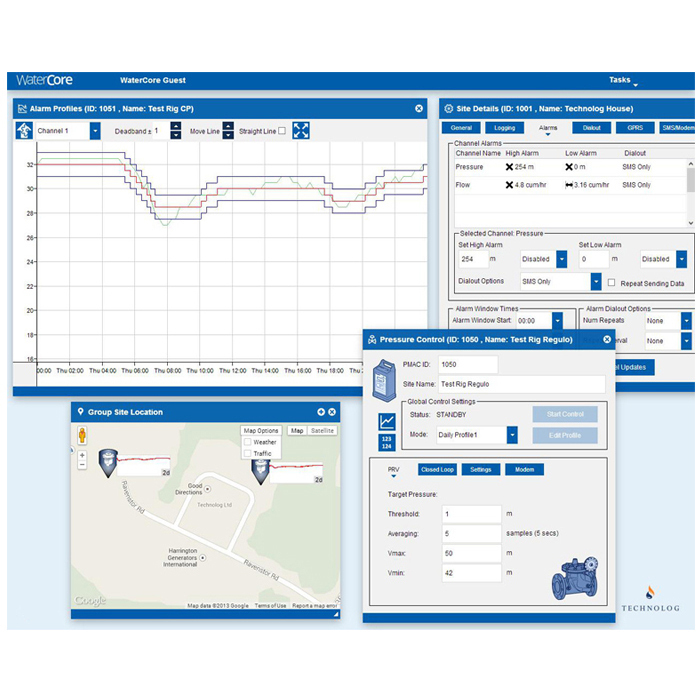 WaterCore – An intuitive, web-based data collection and management solution providing comprehensive tools for site visualisation, analytics and pressure management. 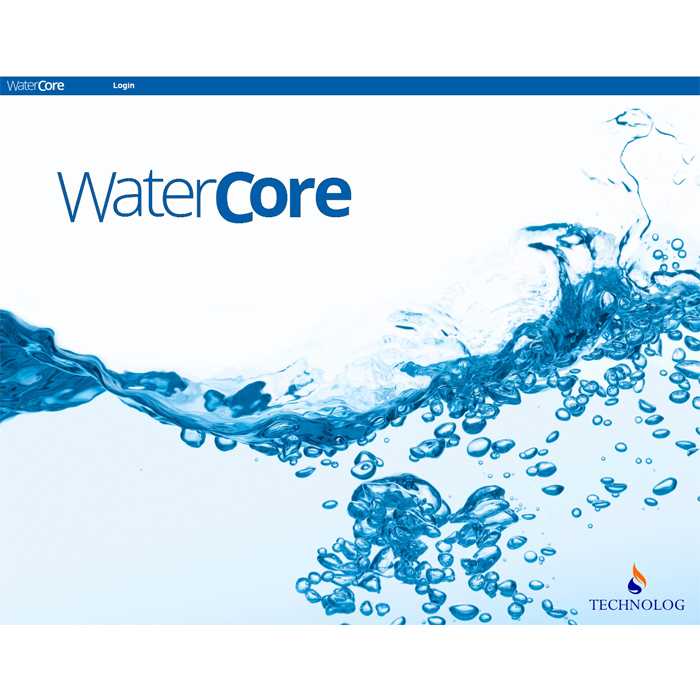 WaterCore builds on Technolog’s excellence in data logging, remote data collection and pressure management by complementing its cutting edge technology with a highly stable and configurable web based platform. Compliments existing SCADA networks. WaterCore provides administration of multiple login accounts. 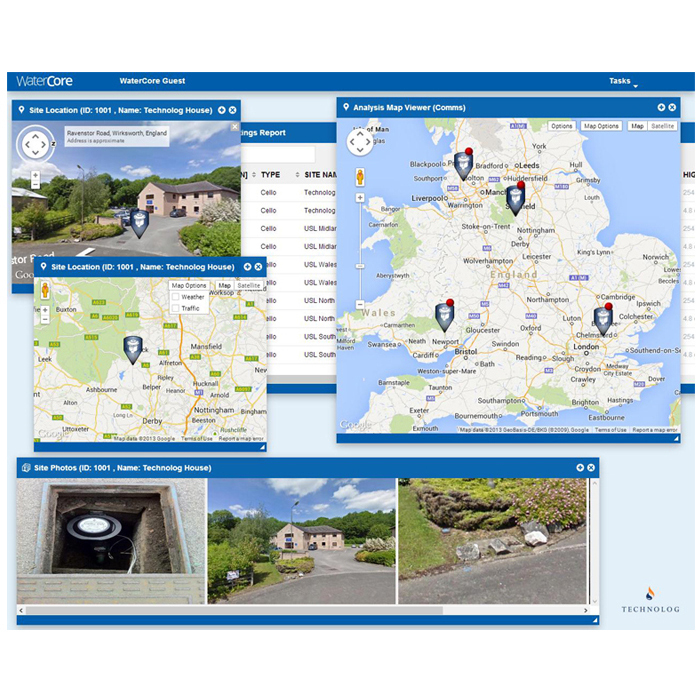 Specified users are presented with a personalised Dashboard that provides immediate visualisation of sites, status, communications and performance. 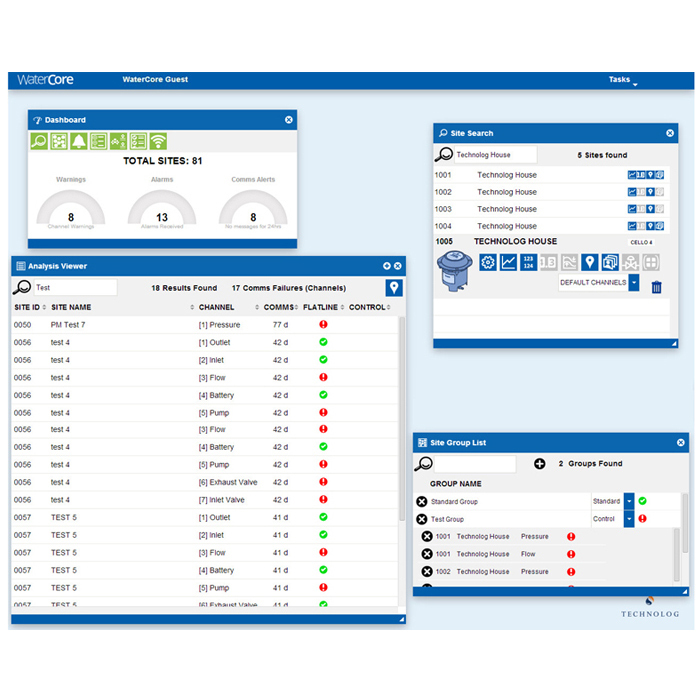 Analysis viewer provides both tabular and geographical interfaces to display site communication status and data verification. Easy graphing of sites, with options to totalise data, compare profiles. With fluid and intuitive graph navigation. Multiple sites or channels can be viewed on a single graph using a simple ‘drag and drop’ e.g. to compare minimum night flows or the effect of flow against multiple pressure points within a distribution network. Automated Meter Reading (AMR) data can be displayed in an easy to read table. Google Maps are integrated with WaterCore as standard. Site locations can be plotted to allow easy location of Technolog’s Cello data loggers and pressure controllers. Supports Google ‘Street View’ to allow visualisation of site locations. Site and installation photos can be uploaded. With satellite and terrain map views. 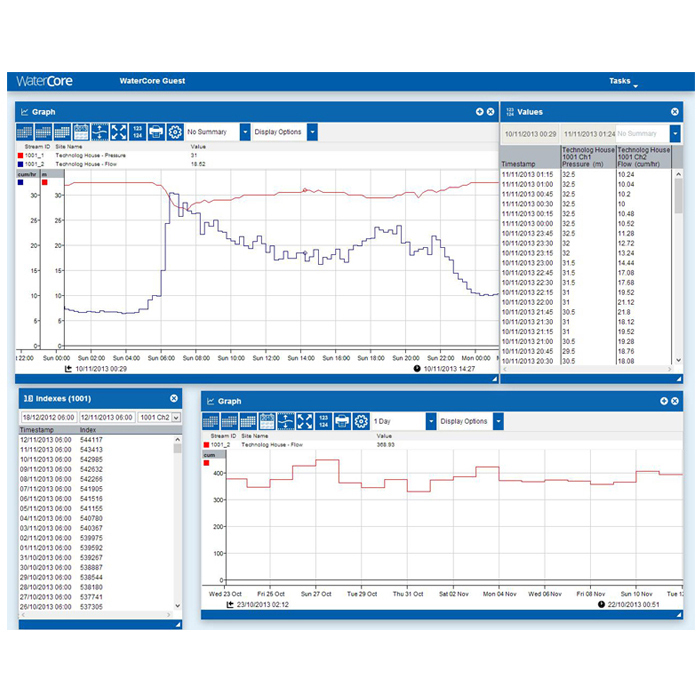 It runs on a powerful database allowing multiple site parameters to be collected and stored including asset information, site hazards, installation details, site remarks etc. The Dashboard provides links to all current alarms and site warnings. Site Alarms can automatically forwarded to one or more mobile devices or email addresses based on criteria as defined by the administrator. Recipients of an alarm on a mobile device may request further site information by sending an SMS message to the server. Groups can be easily created showing the current status of sites within a specific water supply zone. 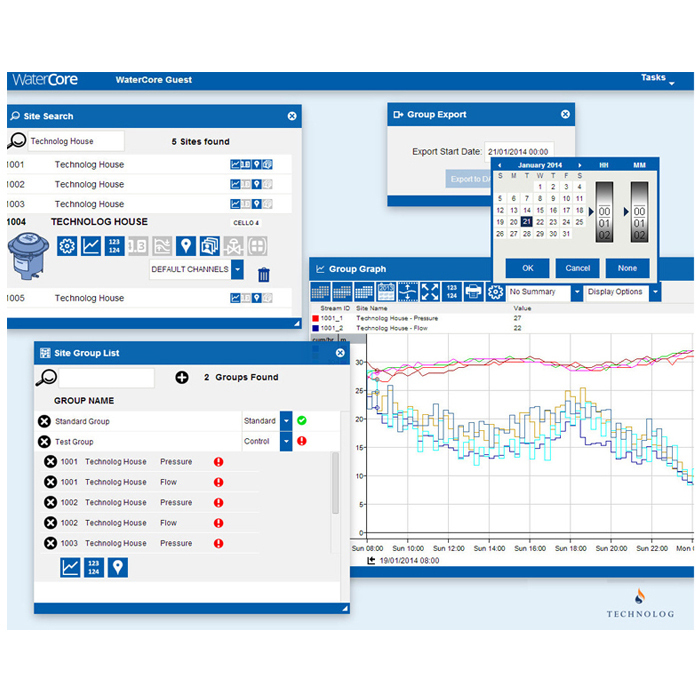 WaterCore allows full remote configuration of Technolog’s data loggers and Technolog’s advanced pressure controllers. Modification of Cello and Regulo settings are based on user log-in permissions, including communication and transmission frequency, alarm profiles, thresholds, logging rate and scale factors. Technolog’s Regulo advanced PRV and pump controllers may be remotely configured with new profiles or switched between different control modes i.e. Time, Flow or Closed Loop (real-time peer to peer control).